People are dying at the hands of those who are oath sworn to protect them. Those dying are mostly people of color. People are routinely being subjected to racial profiling, bias, and stereotyping. People have been and are suffering under unjust systems and institutionalized racism. We say ENOUGH. The Coru Cathubodua Priesthood CONDEMNS police brutality, lack of accountability, and militarization. We condemn racism and the institutions and systems of injustice and white supremacy that promote and thrive on it. We, the Coru Cathubodua Priesthood, stand with our allies and friends against systemic racism and police brutality that disproportionately impacts black and brown people. We stand in solidarity with people of color. We stand witness to your struggles and the abuses heaped upon you. You are our friends, family, coworkers, and neighbors. We love you. We fight alongside you as allies and partners. We want peace for all. We stand with all who strive to create justice and equity for people of color, and all people who feel the crush of marginalization. We hold on to the love for future generations and our hopes for their future, so that they may know a world of tolerance, celebration of acknowledged and expressed diversity, justice, and freedom. This vision of the future acts as a hopeful, bright beacon urging us onward in action in the face of certain hardship and setback. Because activism and protest are sacred acts when done in the name of justice and equality, now is the time to act. 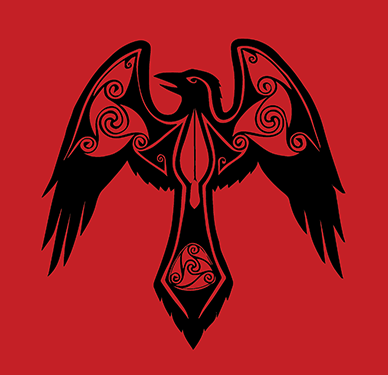 We who are the priesthood and war band dedicated to the Morrigan stand and take our place in the streets as allies to justice, alongside kin and comrade. As allies in the face of the storm, undeterred by violence or militarized force, we stand. We take to the streets to support this struggle for basic human rights. United with others, we stand firm. By the sound of feet on pavement, and banshee wind screaming through banners held high, we stand. We support with the truth of our tongues, and we will defend with our words, deeds, bodies, and lives that which we revere: justice, safety, and freedom from violent oppression. Now is the time to stand! Let us stand together, holding the line against injustice. Let us stand as friends, kin, comrade, family, neighbors, and allies for the changes that must be made! We encourage everyone to contribute to this fight in whatever way that they can. Find what actions best suit your skills and do them. Let us as a society commit to understanding systemic and internalized racism, and how to dismantle them. Let us as a society examine privilege. Let us as a force united exemplify and embody celebration of our diversity, respect for all life, justice, and freedom. Let us speak up about injustices, racism, white privilege, and systematic white supremacy. Let us see these things and say “No more.” Most importantly, let us listen, and let voices be heard that many would see silenced. Let us stand together, now, and hold this line.